A video showing a masked figure pulling a gun out of the trunk of a car in front of Wakefield High School has led to an arrest and charges against a Falls Church teenager. The menacing video was posted on Instagram on Jan. 25, but the weapon was eventually determined to be an airsoft gun, not an actual firearm, and the teen “did not have the means to carry out a threat,” according to Arlington County Police. The U.S. Secret Service brought the video to the attention of ACPD on the day it was posted. The subject of the video was identified and now faces a felony charge. 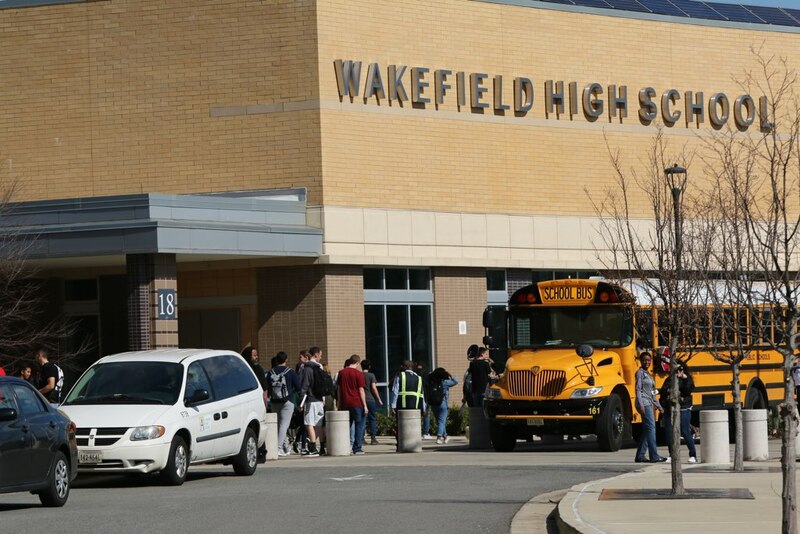 Police have arrested and charged a City of Falls Church teen following an investigation into a video recorded on the property of Wakefield High School and posted to Instagram. At approximately 7:24 p.m. on January 25, an officer with the United States Secret Service responded to the Arlington County Police Department to report a video posted to Instagram involving a weapon. 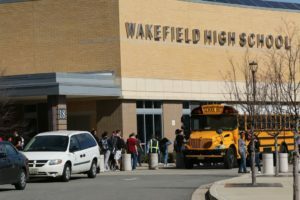 In the video posted at approximately 12:00 p.m. on the same day, a teen is shown sitting in the driver’s seat of a vehicle in the parking lot of Wakefield High School. The teen exits the vehicle, opens the trunk, places a black mask over his face and removes an airsoft rifle before the video ends. After reviewing social media posts and working with school administrators, detectives quickly identified the teen in the video. During the course of the investigation, detectives determined that there was no immediate threat to the safety of the school or its activities, that the video contained a replica firearm and that the teen in the video did not have the means to carry out a threat. Following consultation with the Office of the Commonwealth’s Attorney and a review of the evidence, the teen has been charged with Virginia Code § 18.2-422 Prohibition of Wearing a Mask, a Class 6 Felony. The teen is not an Arlington Public Schools student and his identity is not releasable due to age. The Arlington County Police Department is committed to maintaining the safety of our community. Our School Resource Officers work closely with Arlington Public Schools administrators in our shared mission to provide a safe learning environment for students, teachers and staff. Parents and guardians are encouraged to talk to their children about the serious nature of school-based violence and the content they post to social media. All reports of threats and violence made at our schools and in our community are thoroughly investigated by law enforcement and where appropriate, charges will be sought against those responsible. The public is reminded that you play an important role in keeping our community safe. If you see something, say something® by reporting suspicious behavior and activities to law enforcement. This case was investigated by detectives from the Arlington County and Fairfax County School Resource Officers Unit, Arlington County’s Homeland Security Section and assisted by administrators in Arlington Public Schools and Fairfax County Public Schools.